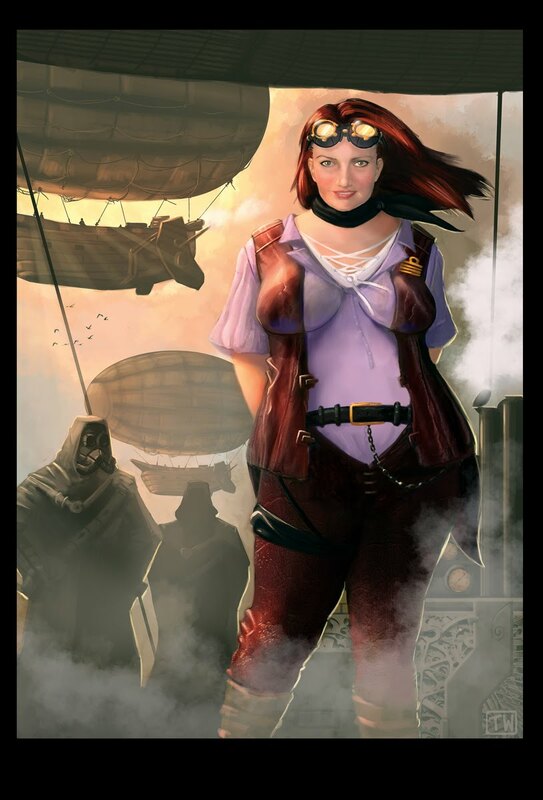 This particular piece was commissioned as a gift for the client's fiancee - depicted as the captain of some kind of steampunk airship. Generally, I don't paint steampunk stuff... I just don't have much interest in the genre but I saw this painting as a nice challenge to ramp my skill level up a notch or two. It's one of the more complex scenes I've ever painted and I really tried refine the brushwork on the main character to get an almost photo-realistic look to her. Photoshop CS3, too many hours to take note of. (Edit: Updated a couple of things as per the client's request).